After we experienced the mysterious province of Siquijor, we also got the chance to discover the bustling yet charming City of Dumaguete. 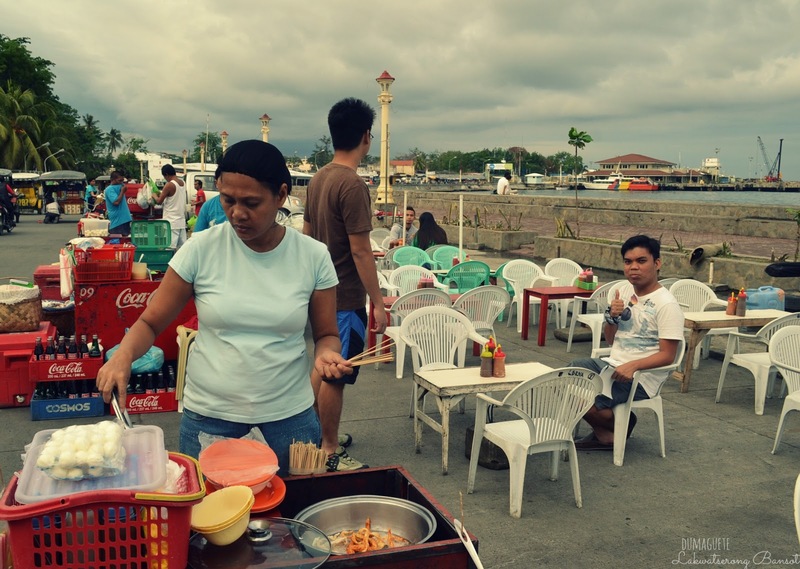 We arrived at the port of Dumaguete around lunch time, so we had a quick lunch in one of the turo-turo before we headed to our accommodation to unload our things. After settling down, we left the hotel and started to explore and see what the "City of Gentle People" has to offer. 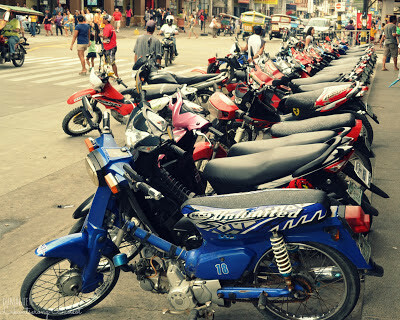 Dumaguete is the motor capital of the Philippines, so don’t be surprised if you see a lot of motorbike parking around the streets. Tricycle is the primary mode of transportation here. It is a very small quaint city so getting around is doable, and locals are very friendly too, so don’t hesitate to ask for direction if you feel that you’re getting lost. 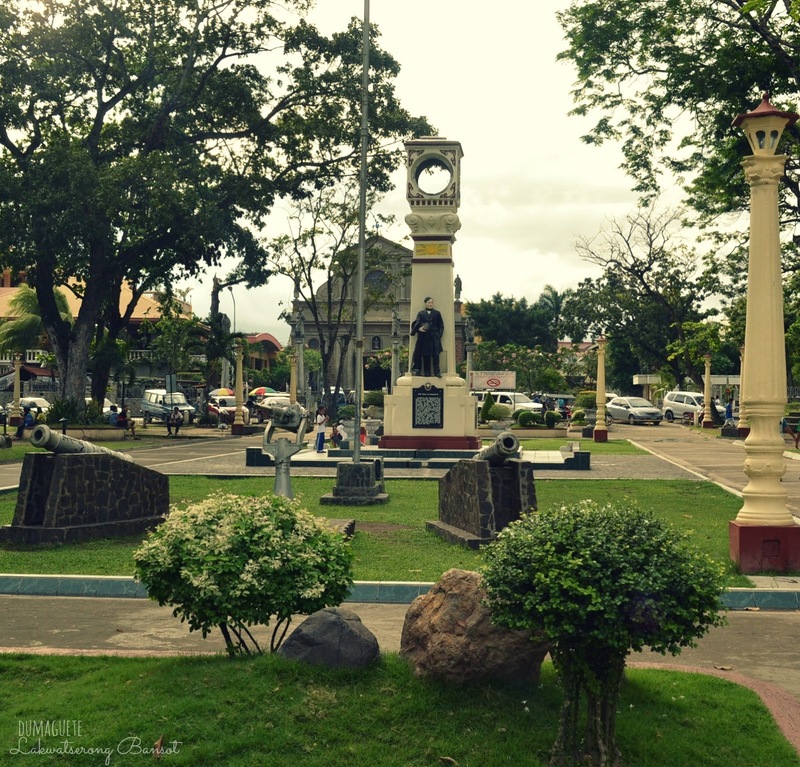 The first place we visited was Quezon Park where you can sit, relax and mingle to local folk. Nothing more relaxing to sat in a place surrounded by trees, statues and children’s playground. 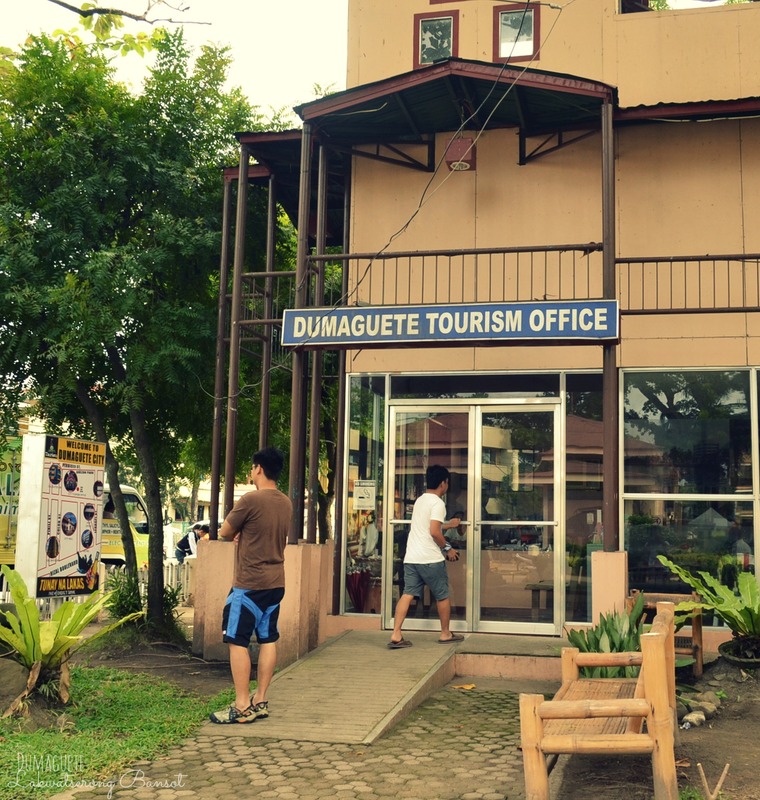 Dumaguete Tourism Office is also situated here, where most of the local and foreign tourists asked for assistance when they doing a tour in Dumaguete. If you want to get a reliable information about the place, tourism office will be your best buddy and they will be more than happy to help. 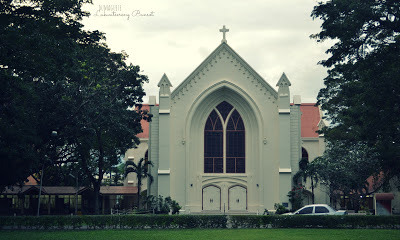 Just across the park is Dumaguete Cathedral Church. 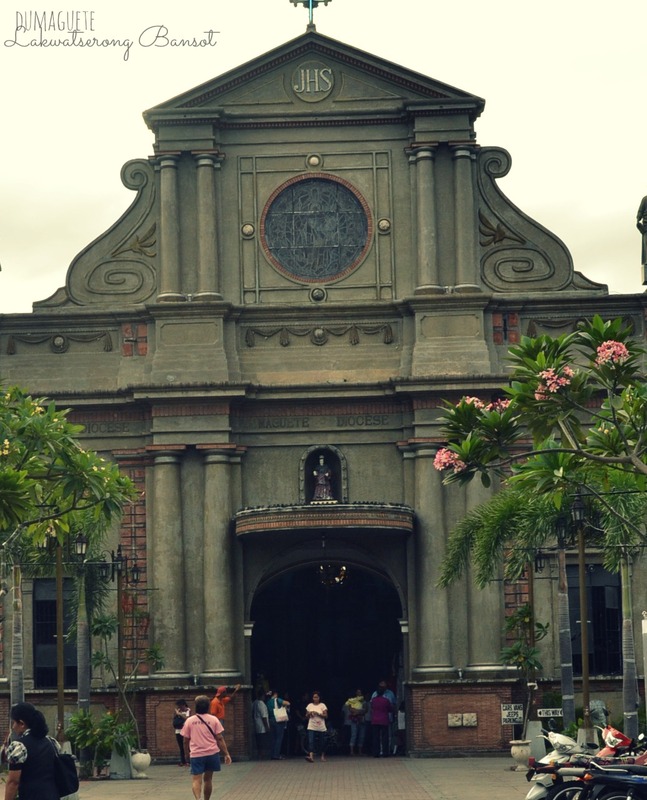 It is the oldest stone church in Negros, it was built in 1754 to 1776. There are four saints above the four pillars which hold the gate of the Church, Saint Matthew, Luke, John and Mark. A lot of devotees come here every day to express their devotion and gratitude. 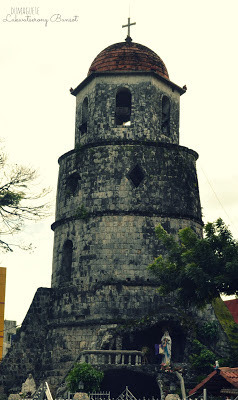 Standing next to the cathedral is Dumaguete Bell Tower, known as the oldest Belfy in the Province. After our cam-whoring in the Park, I decided to light candles in the Bell Tower. There’s a small shop on one side of the Dumaguete Belfry, they sell all sorts of religious icons like rosary beads, novena guides and other stuff. Then we headed to Rizal Boulevard to stroll and find something to eat for our merienda.They said that our vacation in Dumaguete would not be completed without visiting this place. It made me more curious and excited. 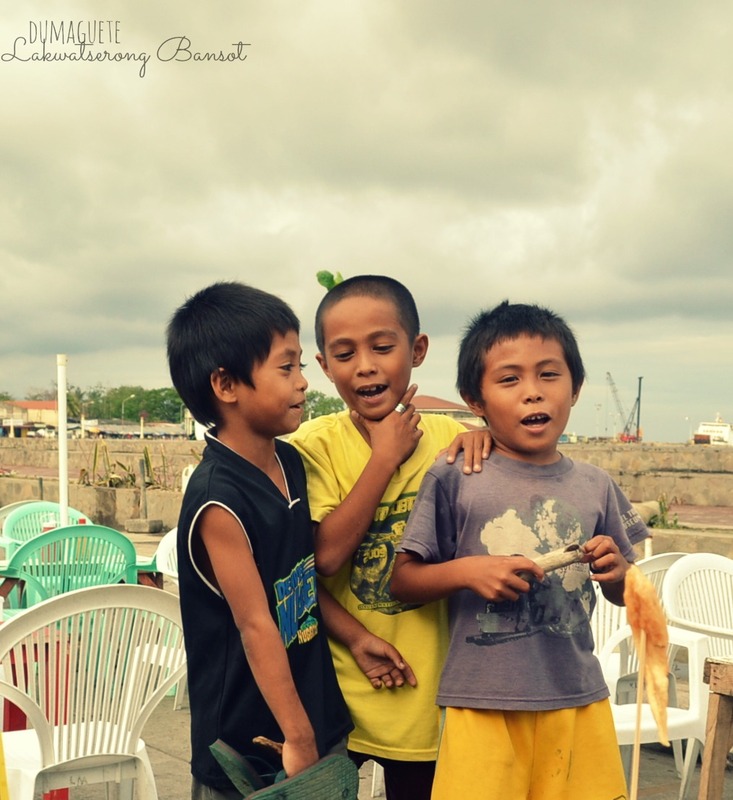 Rizal Boulevard is almost the same scenery as Roxas Boulevard, mas mabangong bersyon ng Roxas Boulevard nga lang. There are numerous bars/resto across the boulevard where the foreign tourists hanging out. Along the boulevard, we noticed tables set up. There were vendors selling tempura, balut and other street foods. Sakto sa pamawid gutom hehe. Their tempura is like “the kikiam” in Manila na mas masarap. 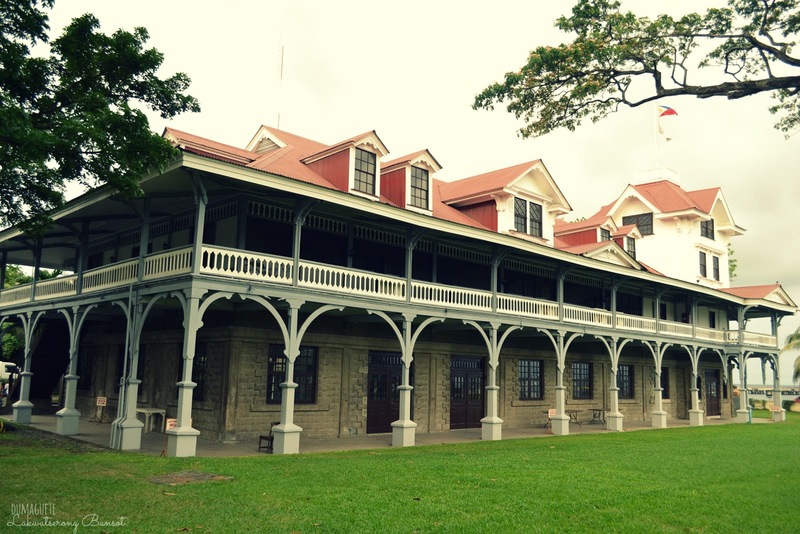 Just a stone-throw away from the Boulevard is the Silliman University, considered to be one of the best and biggest universities in all of Asia. The Campus is relatively big with lots of acacia tree around, looks like the campus of UP Diliman. We strolled around the site and observed other students while doing their usual student thing like tsikahan, kantahan and some were playing Frisbee, and then suddenly I feel like I wanted to be a student again. You can always visit this university by obtaining VISITOR’S PASS to the guard on duty even if you were not a resident student. 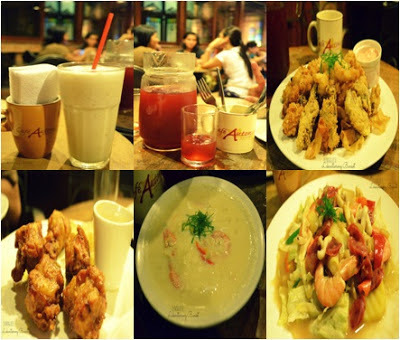 Our travel wouldn’t complete without trying the best food in the City, so we headed to Café Antonio because this is one of the most famous resto in the City. 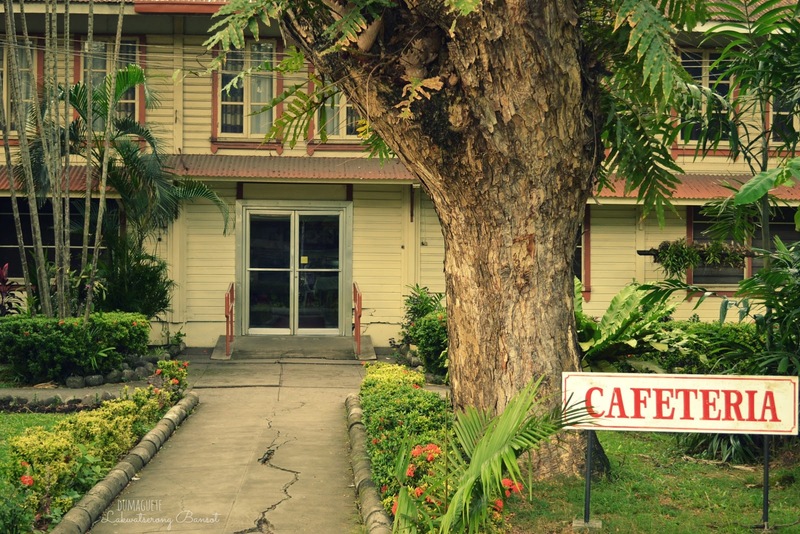 Well, I found the place dramatic, beautiful colonial house with piano in the corner. And the food? It's great with reasonable priced. I even asked if they have branch in Metro Manila, sadly none. After our sumptuous dinner, we transferred to these endearing swing-seats on the terrace. 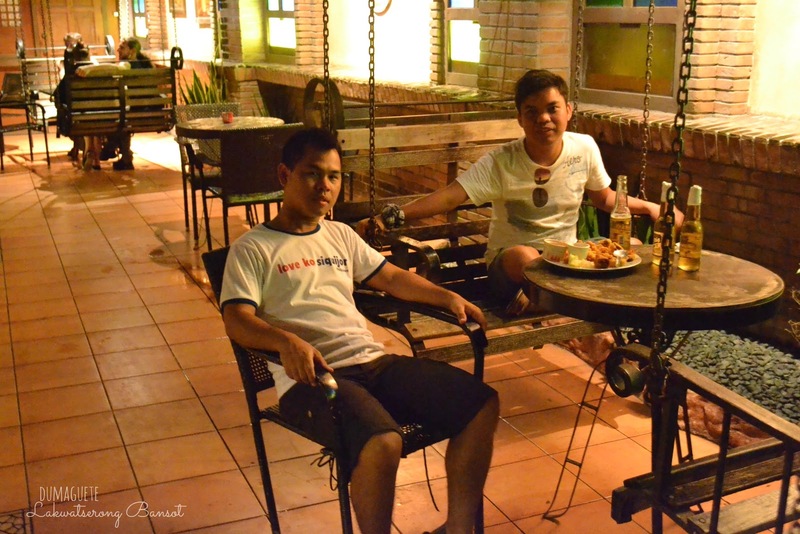 We had a little beer bonding before we went to our hotel to get some rest. We had so much for a day that our bed invited us to have a sound sleep till the morning! The next morning, our group decided and agreed to spend our remaining hours to visit Tierra Alta. It is located in Palinpinon, Valencia, just a 15 to 20 minutes tricycle ride away from the City. It is called Tierra Alta because of the high terrain. 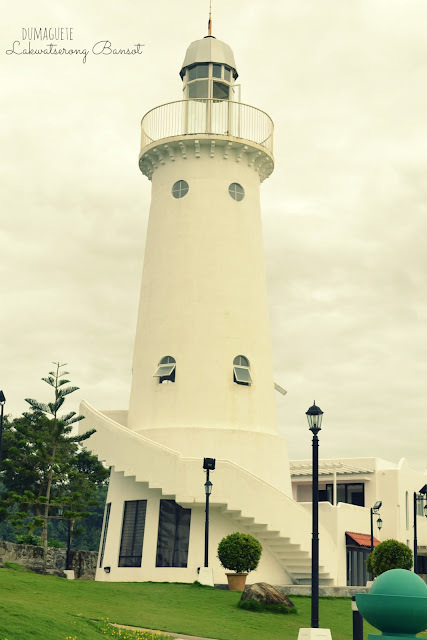 You will see from the top (particularly when you reached the top of the light house) the oceans and the nearby islands. For Php 200.00 entrance fee you can visit Tiera Alta with consumable drinks/food and take advantage of the swimming pool! 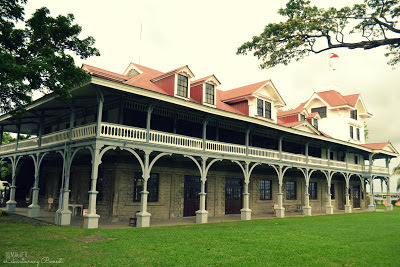 But if you want to just walk around and see the beauty of the Place, (just like what we did), you just have to pay 60Php. After visiting Tierra Alta, we went back to the City and had our lunch in Sans Rival Cakes and Pastries. This was included in our “Bucket List”. Sans Rival has been a brilliant selection of food. They serve not only cakes and pastries but also rice and pasta. I heard from a friend that sans rival was very delicious so I ordered to try and I wasn’t disappointed. I also ordered lasagna and it’s also fantastic. The next time I visit Dumaguete, I will go back there and try Silvanas. Our time in Dumagute is about to end after the memorable and priceless experience we had around the City and we need to be back to the hotel to packed our things home! Indeed, it was a great experience to discover Dumaguete. I know we had a little time exploring the City, but hey! There’s always a next time.The famous destination Casaroro Falls, Lake Balinsasayao and Lake Danao gave us a strong reason to go back! 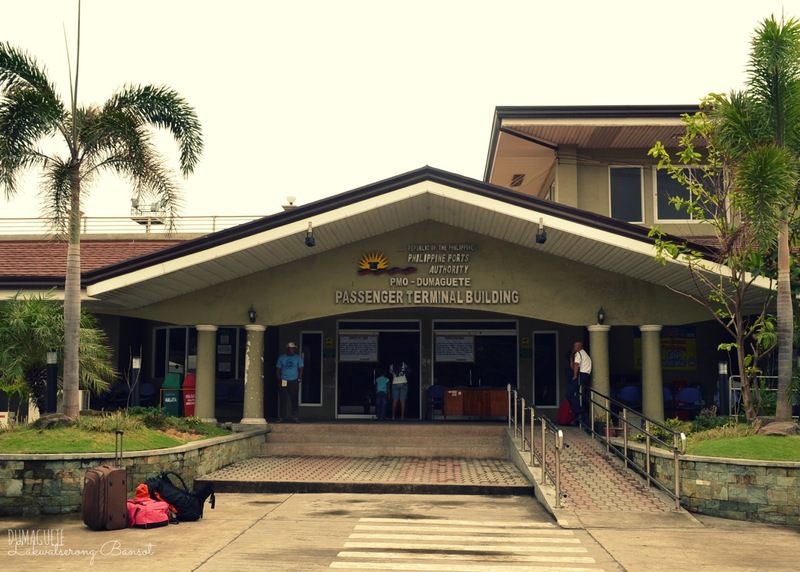 So, see you again soon, Dumaguete! Sir Joel, nagbblog ka din pala eh.update mo! Ive been to Dumaguete and Siquijor, February 2012. pero haven't blogged about them.